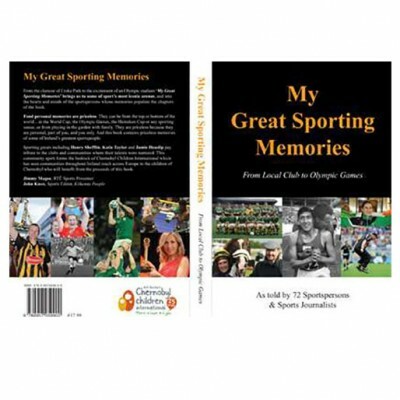 A book of My Great Sporting Memories – from Local Club to Olympic Games, written by 72 of Ireland’s best-known sportspersons and sports journalists. The compilation covers many of the most exciting and glamorous moments in Irish sport: from the clamour of Croke Park to the excitement of an Olympic stadium. ‘My Great Sporting Memories’ brings us to some of sport’s most iconic arenas, and into the hearts and minds of the sportspersons whose memories populate the chapters of the book.